After a six-year marathon of inspecting, buying and rehabbing 51 units of buy-and-hold rental real estate, we've written a book about the process. California can be a paradise for landscaping and lawn care companies. 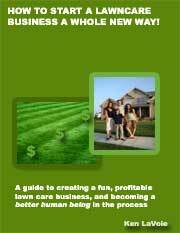 Many lawn business owners dream of accessing the lucrative California market and the lifestyle that goes along with having a successful business there. Let's take a look at some of the advantages and disadvantages of starting a lawn care business in California. Lawn care is a year round business in California. Even though the climate varies enormously throughout the state, most of the inhabited areas offer temperate weather with a reasonable amount of rainfall. In the drier areas of the state many people have lawns that are using irrigation systems. Bermuda grass is common in California, a tough grass type that grows well in dry conditions and is easy to cut. Bermuda grass responds well to fertilizer and it should be applied around April or early May. Desert landscaping is popular in parts of the state so landscapers should be familiar with cacti and succulents as well as the usual range of plants and shrubs. When putting together a business plan to start a lawn mowing business you should take some time to study the laws and regulations at the local and state level. You don't really have a lot of hoops to jump through before you can be doing business in California. Check with your local city hall to find out exactly what paperwork you need to complete for basic lawn care. A business license can be had for well under $100 and you may also need a 'sellers permit'. If you are trading with a fictitious name then you'll probably have to complete a DBA form as well. As one of the most environmentally regulated states there are many animal and plant species that are protected. This may affect the way that you operate your equipment and will definitely affect you if you are offering services involving chemicals. Some regulators have been pushing for lawn mowers in California to be fitted with catalytic converters to reduce the amount of smog forming chemicals pumped into the air. In some parts of the state some citizens have been able to exchange their old gas powered lawn mowers for heavily discounted cordless, rechargeable electric mowers. Competition in the lawn care business is fierce in California, as it is anywhere. In California and other border states you must be aware that you will be in competition with illegal and legal migrants from south of the border. They may be prepared to work for a much lower rate of payment then you or your employees. The problem is more severe in Southern California than in the North. If you can turn this to your advantage and work out how to run your business using migrant labor in a way that is ethical and legal then you will be joining other successful entrepreneurs in the service industry who have done so. Migrant laborers do need some coordination to get jobs as with poor English they sometimes have a tough time building a relationship with a prospective customer and estimating a price. They are more likely to work for American owned businesses than start their own. On the bright side, California is one of the wealthier states with a large percentage of the population having high disposable incomes. Tastes can be eccentric among some of the states wealthier cities and businessmen who know how to provide high-quality, premium services to the 'elite' can always do well in California. 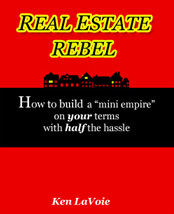 Niches rule, and if you can find one that is in demand then you can really clean up. If you do some general lawn care business research as well as studying the way the industry works in the sunshine state then you will be well on your way to starting a successful lawn care business in California. Starting a Lawn Care Business - The Right Move? 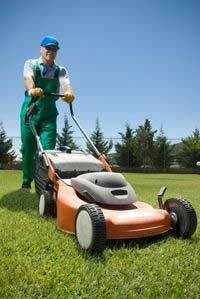 Start a Lawn Care Franchise or Independent Business?